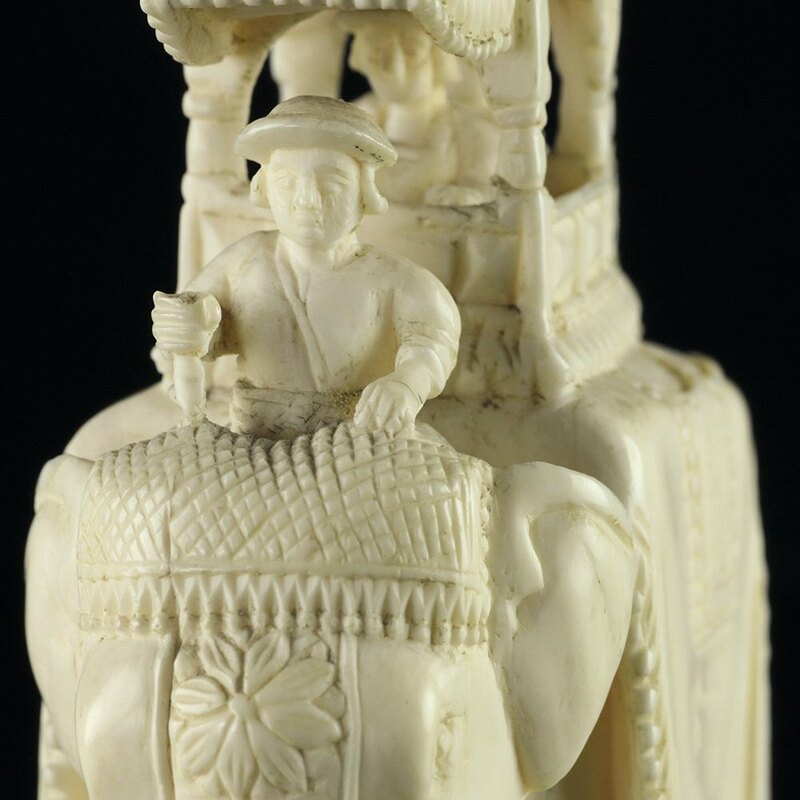 Originating from an extensive private collection we are delighted to offer this finely carved antique ivory figure of an elephant with a covered howdah with two passengers and a rider to the front dating from the 19th century. This well carved elephant figure stands on a rectangular base and is well detailed with a draped cloth across the back a decorative head dress. The figures are also well carved and the ivory is not marked.